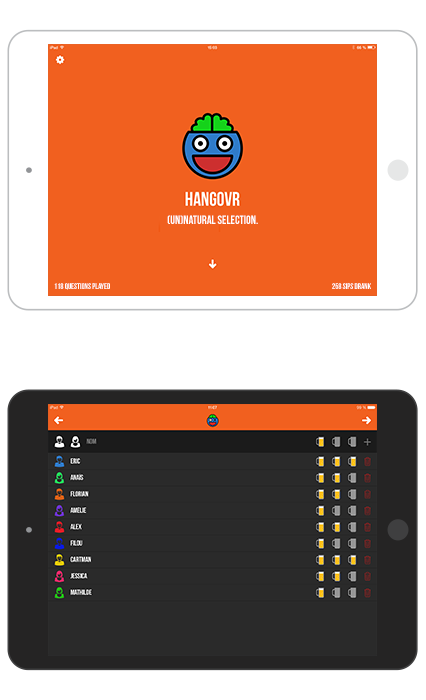 Hangovr - An app for saturday night athletes. 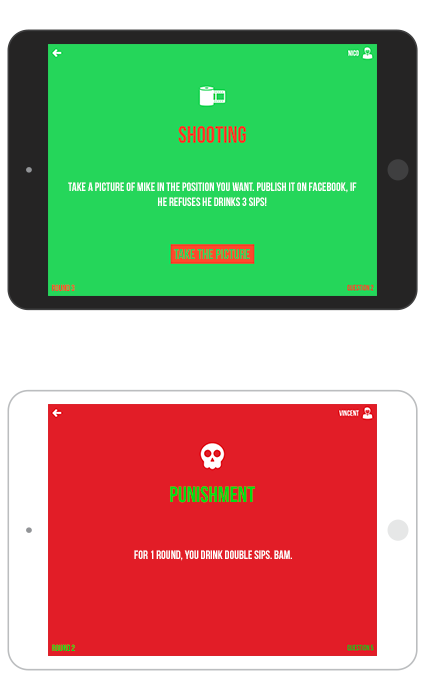 Hangovr is a great drinking game for iPad and iPhone mixing challenges, mini-games, twisted questions and pledges that will make parties with your friends unforgettable. 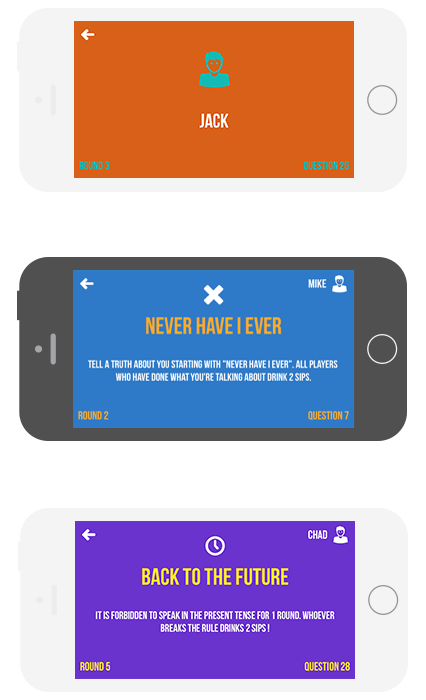 More than 50 questions, mini-games, challenges and pledges each one more crazy than the last. 2 to 16 players, for twisted and wild parties. No need to think, just let yourself be guided by the instructions. The app is free, but you can unlock 25 additional mini-games and challenges for less than a dollar. 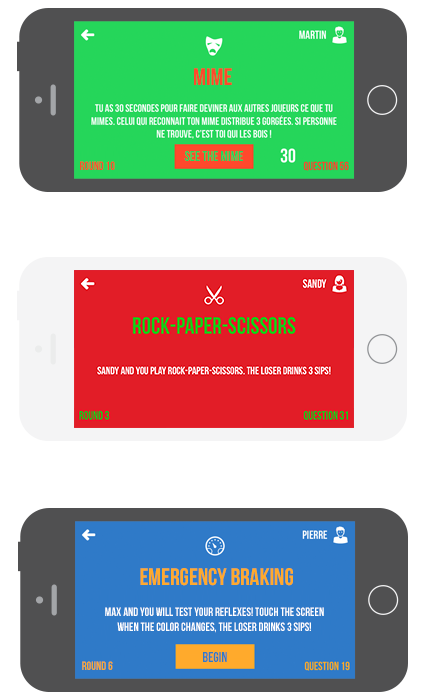 More than 10 mini games that are played directly on the iPad or iPhone, alone or with other players. Games, questions, challenges and pledges always fun ! Do not hesitate to send us your comments - relevant or not - we will try to answer you as soon as possible (or not). Please fill all fields before sending the message. © 2014. absolutLabs. All right reserved.